Two (2) lucky readers will get a Homework Caddy of their choice valued at $25.99. Take the first step to eradicating the clutter on your counters. It includes 1 Magnetic Dry Erase Board, 1 Dry Erase Marker, 1 Large Center Display Window, 2 Clear Plastic Supply Pockets, 4 Legal Size File Pockets, 2 Bottom Velcro Straps, 2 Magic Hooks, and is made with Durable Material. 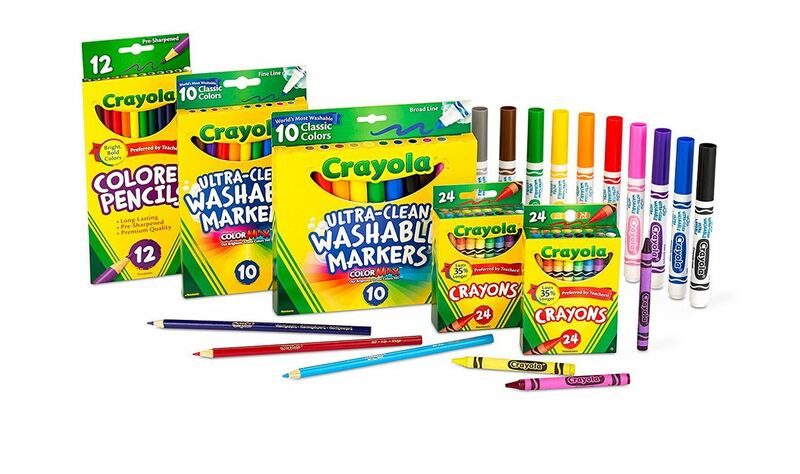 Deal of the Day: Save up to 30% on Select Back to School Essentials from Crayola for 8/06/2018 only! Check off your back to school supply list with these Crayola essentials. You can buy in bulk for teachers or for a large family, or just shop by the grade level to get everything you need at just a click of a button. Goliath Games has been dedicated to creating toys and games that inspire young minds and adults alike to reach beyond their imagination. As one of the few remaining family-owned toy companies, Goliath truly understands the importance of quality family time and bringing people together. Three (3) lucky readers will win one of the games listed below. Get ready for fun of Tyrannosaurus proportions with domino Junior! the stunt dominoes have been re-engineered to allow for easier set up for little hands. Set up is no problem with the easy-to-use domino spacer tool. Carefully line up the dominoes to watch the VOLCANO erupt! add in your Dino friends to create even more cool chain reaction stunts! it’s fun that won’t go extinct, perfect for ages 3 and up. Specially designed dominoes make for easy set up for little hands high-quality, vibrant colored pieces includes an easy-to-use domino spacer tool for simpler set up awesome chain reaction stunts make for a fun payoff recommended for ages 3 and up. Check out the new generation of tops with I-top! using smart technology, this high-tech top keeps track of the number of spins, while LEDs light up the display. Unlock hidden features by spinning the top an exact amount of spins to show special animations, or challenge your friend to a high score. With over ten different ways to play and tons of animations, the fun with I-top is non-stop! for ages 7 and up. Cool, high-tech plastic top has LEDs that Count the spins unlock hidden features including special animations spin your way to the top score by competing in multiple challenges approximately 3.25″””” round recommended for ages 7 and up. Get ready for fun that is out-of-this-world with pop rocket! pull the string on the rocket to start the countdown, and start roll the die. Move your color Star catchers to where you think the little stars will land, but keep an eye on that rocket because it’s only a few seconds until blast off! watch the stars explode into the sky, and land in your Star catchers. Be the first one to collect enough Star catchers to fill your constellation to win! for 2-4 players, ages 4 and up. Players race to set up star-catchers before the rocket pops be the first to fill your constellation with stars to win fun, built-in timer starts when you ignite the fuse – no batteries required! fast-paced, exciting action that kids love for 2-4 players, ages 4 and up. This giveaway is in no way endorsed, affiliated, or associated with Facebook, Twitter or any other Social Media Networking Site. 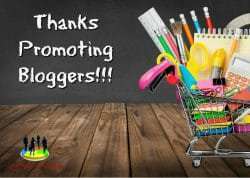 By entering this giveaway you are authorizing the hosting blogger to contact you if you are a winner. This is the only time your email will be used, unless by sponsor for sending prize. You are not eligible if you have won a prize from this sponsor in the last 12 months. This Giveaway is valid in the United States Only and Entrants must be 18+ years of age to enter. This giveaway event will end at 11:59 PM (EST) 8/30/18. The winner will have 48 hours to email their information back to las93063 at gmail dot com or a new winner will be drawn, you may want to put this email address as safe as it could go to spam. The sponsors are each responsible for shipping of the above prizes. No blog associated with this contests are responsible for prize fulfillment. If you would like to be a sponsor in a giveaway like this please email Laura Smith at las930 (at)gmail (dot) com. If you take an entry you must stay following for the entire contest or you will be disqualified. 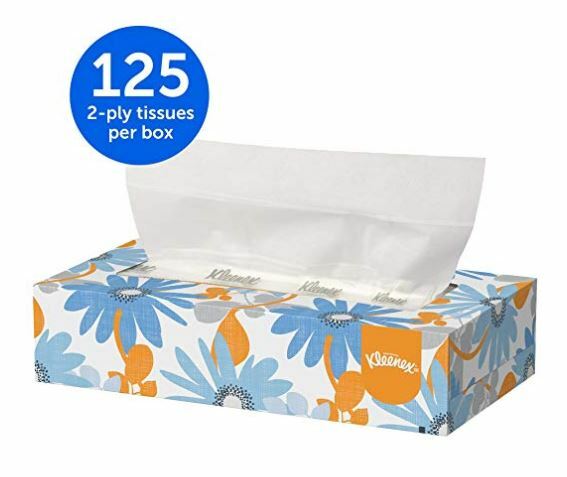 Deal of the Day: Save 71% on 12 Boxes/Convenience Case Kleenex Facial Tissue for 8/01/2018 only! Great deal for the home or just going back to school. All facial tissues are not created equal. In fact, more people choose Kleenex Facial Tissue than any other brand. Kleenex tissue offers superior performance, a premium feel and essential softness. When your employees, patients and guests see the respected Kleenex brand in your business and restrooms, they’ll know that you select quality products, putting forth the best image for your business. It’s a popular choice in healthcare and medical offices, hotels and lodging and businesses in general. For more than 80 years, Kleenex has delivered the highest quality among facial tissues, providing consumers with smart innovations like an ultra-soft feel and Signal Sheets (the last 10 tissues are cream colored instead of white, so you know it’s almost time for a new box). You’ll want to buy them in bulk. Choosing Kleenex lets everyone know that you care enough to provide the very best. Six (6) winners receives one prize each, winners drawn are awarded prizes in order below. Welcome to the Pack Your Books With Lands’ End Giveaway! Lands’ End backpacks are iconic for their durability and ability to last a lifetime. Lands’ End has a backpack for every type of shopper—bags come in different sizes from little kid to adult; come in a variety of styles from the classic ClassMate to coordinating lunch boxes to sporty cinch sacks; and every pack can be personalized with monograms or emojis. Choice of bag from this link. One (1) lucky reader will get their choice of bag up to $99.95 RV. Back to school backpacks are always an exciting high point of back to school shopping, so help your child choose the perfect backpack to express their personality and taste. From cute backpacks for boys and girls featuring animal themes to cool backpacks in camo print, Lands’ End has it all. Kids carry their school backpacks all the time for most of the year, so they make backpacks for kids that will stand up to constant use as well as suit their needs and their style. Lands’ End make it easy to find the perfect kids’ backpack for your child, allowing you to shop by age range, your child’s height or the carrying capacity of the backpack. 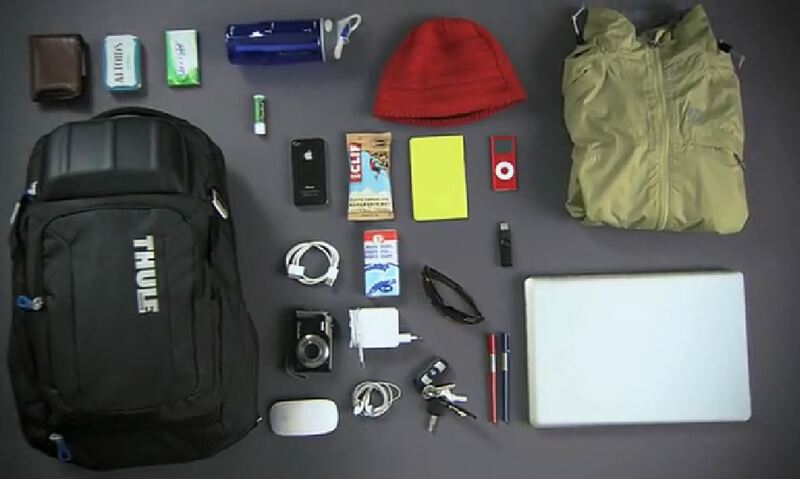 Lands’ End even provides videos with examples of what your child might carry in their backpack, so if your child needs to carry their jacket or their laptop or a particularly big chemistry textbook, you can be positive the backpack you choose from among their great array of backpacks for kids will accommodate it. This giveaway is in no way endorsed, affiliated, or associated with Facebook, Twitter or any other Social Media Networking Site. You are not eligible if you have won a prize from this sponsor in the last 12 months. This Giveaway is valid in the United States Only and Entrants must be 18+ years of age to enter. This giveaway event will end at 11:59 PM (EST) 8/20/18. The winner will have 48 hours to email their information back to las93063 at gmail dot com or a new winner will be drawn, you may want to put this email address as safe as it could go to spam. The sponsors are each responsible for shipping of the above prizes. No blog associated with this contests are responsible for prize fulfillment. If you would like to be a sponsor in a giveaway like this please email Laura Smith at las930 (at)gmail (dot) com. If you take an entry you must stay following for the entire contest or you will be disqualified. One (1) winner of one pair of slacks of their choice valued up to $70 RV. By ScribbleStuff, USA Gold & The Board Dudes! 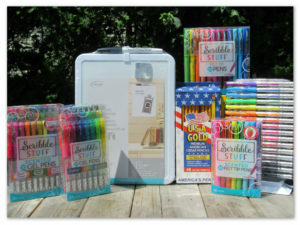 One (1) winner will receive a bundle pack of Scribble Stuff Gel & Felt Tip Pens, USA Gold American Wood Pencils & A Board Dudes Dry Erase Memo Board ~ TRV $78! One (1) winner will receive a bundle pack of Scribble Stuff Gel & Felt Tip Pens, USA Gold American Wood Pencils & a Board Dudes Dry Erase Memo Board ~ Everything Pictured Below TRV $78! Read My Review On All Of The Items Pictured Above. This giveaway is in no way endorsed, affiliated, or associated with Facebook, Twitter or any other Social Media Networking Site. This Giveaway is valid in the United States Only and Entrants must be 18+ years of age to enter. This giveaway event will end at 11:59 PM (EST) 8/18/18. The winner will have 48 hours to email their information back to mcushing7 at hotmail dot com or a new winner will be drawn, you may want to put this email address as safe as it could go to spam. The sponsors are each responsible for shipping of the above prizes. No blog associated with this contests are responsible for prize fulfillment. If you would like to be a sponsor in a giveaway like this please email Melissa Cushing at mcushing7 (at)hotmail (dot) com. If you take an entry you must stay following for the entire contest or you will be disqualified.